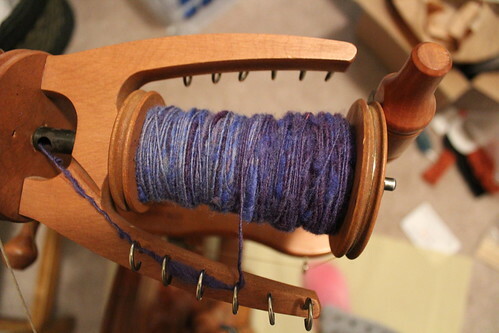 My first real attempt at the whole shebang – dying, carding, spinning and finally, plying. Suffolk, dyed with a mix of blue and red. Not as purple as I’d hoped but still good, I think. I’m going to keep practicing.